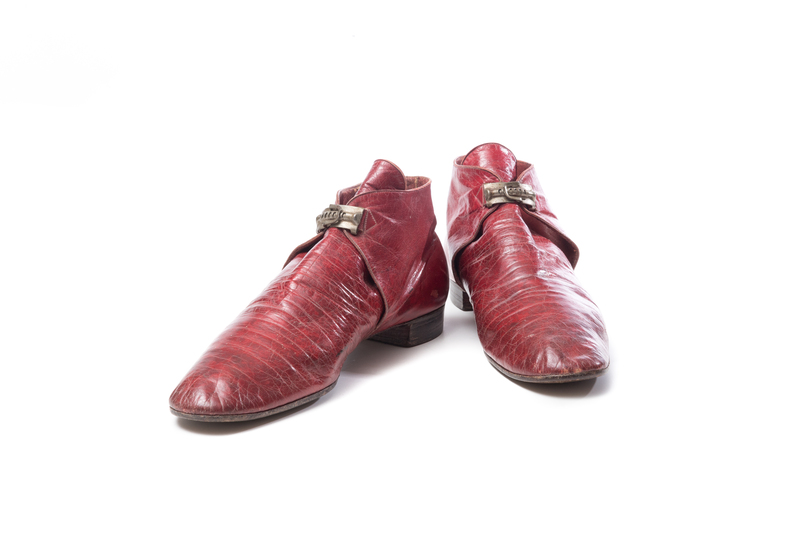 Boots; men's red leather ankle boots with buckle. Red leather uppers. Elongated rounded toe. Open tab has a two-part metal buckle closure. One side of buckle slides into the other and clicks into one of 6 slots, gradually tightening the fit. Stacked 3/4 inch heel. Brown leather sole.